Cameron enjoys assisting clients and their families to design and implement estate plans for passing their business and personal assets to future generations. His extensive knowledge of commercial, succession planning and tax law informs his estate planning strategies. He works closely with his clients’ accountants and financial advisors to ensure the estate plan dovetails with existing entity structures and their financial and taxation objectives. Cameron has an interest in trusts and trust law. In Cameron’s commercial practice he assists clients with business acquisitions, shareholders’ agreements, reviewing commercial contracts and commercial leasing. 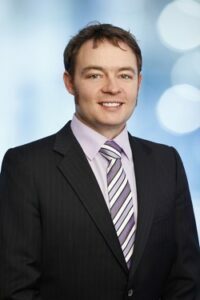 Cameron is a member of the Society of Trust and Estate Practitioners and accredited specialist in business law.